What is your name? Hey I’m Clo, resident tea addict and sarcastic bookdragon here. Where do you live? I live in the UK, England in a small rural village…with nothing. As in we have no shops, no post office and no longer a pub. It’s pretty though but still very q u i e t.
Do you find that there is a culture of reading where you live? If not, tell us a bit how you came to be one! Speaking in general terms, there is certainly a reading culture here in England and I think the whole of the UK. However where I live doesn’t exactly provide me with books, it was my parents who introduced me to reading. I had a stack of books waiting for me, before I was born. At least, that’s what my mum tells me. What kinds of books do you enjoy reading? Young Adult mostly, my favourite genre is paranormal and it’s the one genre I can read in YA, NA and Adult. I fell in love with vampires when I was like 10…or 9? Either way I think Buffy The Vampire Slayer kick started it, add in Twilight and The Vampire Diaries. I fell for the paranormal genre hard. Have you always been a reader? Yassss I have. Apparently when I was a toddler and couldn’t yet read, I emptied out a box of books in nursery. Sat in the box and pretended to read *laughs sheepishly* guess I always was drawn to books. Do you also read books published in your native language/published locally to you? If so, tell us a bit about what kinds of books are published in your country! Yes. In fact I’ve only ever read books in two other languages: German and French. German was kids books, when I was 15/16 to try and help with my GCSE and French was me being curious. And hoping reading would help…it didn’t. My mum bought a copy of a book I have in English in French. I opened it and was totally baffled. It wasn’t the French that baffled me the most, oh no they didn’t use “these for marking dialogue” they used <<this for dialogue I think>> Could have been one arrow either side, still it really threw me cause erm…I’m not used to seeing arrows in my books. Are there libraries where you live? If so, what kinds of books can you find there? Are you able to get the books that you want? Hmmm where I live no, my nearest library is about 20 mins away. My preferred library is about 45 mins away from where I live. So yes, I’m lucky in that I have libraries near to me but they’re not right on my doorstep. I can’t catch a bus to them ok, we have no reliable public transport where I live.In terms of the book selection, my preferred library is the preferred one due its variety, it has a decent YA section. And it’s massive…also I know in that library they have books in other languages there. I’m not always able to get the books I want though, some books for some reason aren’t in stock anywhere in any of the libraries in my county. Having said that, we do relatively well in getting some new releases in. How prevalent are English published books where you live in bookstores? (For example, books printed by HarperCollins.) Everywhere, I live in the UK. I think the bigger problem is having a good variety in bookstores, I’ve noticed that it can be hard to track down certain backlist titles these days. Do you use NetGalley or Edelweiss to request electronic galleys for review? If so, what kind of success rate would you estimate for you personally? Ha no. I don’t use either, as much as you may find this really strange. I don’t get one well with eBooks, I’ve never tried Audio although the thought scares me. That’s not to say I don’t love and encourage the use of ALL formats, at the end of the day we all digest the same story differently.But my reading speed jumps from about 100 pages an hour on a physical book to about 50 or less pages an hour. Yeah…where your reading speed may increase on eBooks mine decreases I think it’s because I’ve been fortunate enough, to have access to books. Also, I don’t really see much point in me having them, when I don’t need them. In the sense of, I use my library. I have access to libraries I’m using them, before they all start shutting down. Do you experience hurdles or barriers to access for the kinds of books that you read? Please explain if so. Yes if it’s not in my library and I don’t feel like buying it, because who wants to endure your parents telling you, you should be using a Kindle. *sniffs* Otherwise no, I have access to books both online, at libraries and in Charity shops and other secondhand shops. The main problem stems from lack of transport, since I live in a rural village.Growing up, whilst I had access to books it was because of my grandparents and parents letting me have books. The only times I went to a library used to be at my grandparents, eventually I used my Primary school library too. So yes, I have access to books it doesn’t always mean I’m able to get to them readily, or whenever I’d like. Also shipping costs aren’t exactly friendly here either, I mean when is it ever friendly? If you could make one change to the publishing landscape, what would you do? Honestly, I wish they’d try and do more to make books accessible in other countries. Stories should be shared, books should be something we are able to reach for, without the worry it’s going to financially cripple us. As well as this, the rise of #ownvoices and more diverse reads means we should pushing; for them to get into the hands of kids, teens, young adults and adults who need it. Who need to see themself represented. Is that more than one point? Huh, anyway I just really feel like the publishing houses should be trying harder I guess. I love them don’t get me wrong but it’s as if they focus first on the US, then UK. After that it’s like AUS and CA also get a look in, then it sort of tails off. Or maybe that’s just me. Do you have any other experiences as a reader around the world that you would like to share? As someone from the UK, I feel like a lot the time we get lumped in with the US folk. It’s not a problem, if you live in London or near there or Edinburgh. Whilst we get authors visit us, as well as book events, a lot of them happen in London. They rarely come anywhere near to me. Asking my parents if I could go to London for a book event is well…they’d think I was crazy because it’s not exactly cheap and then there’s travel.I know I have privileges, thanks to this community but I hope you guys can understand we don’t have the same privileges as US readers. The times an author does come near me, I jump at the chance of an event because well, it rarely happens for me. I don’t have the money or the ability to go down to London for events period. I don’t have the reliable public transport to get me to a library or bookstore, it falls back to my parents to drive me there.We also get excluded from a lot of giveaways when they’re US only, shipping costs still go up a lot for it to come here. In all honesty, I feel like if we didn’t have the publishing houses here and London, we may not be in such a privileged state. What I’m saying is yes, it may appear like we’re practically on par with US readers. In reality, we’re not so please, please don’t assume that because I or anyone else who lives in the UK has all the same privileges as someone from the US.We don’t. Our access to books and events is dependant on where we live in the UK. That being said, I’m grateful I live here, that I have access to these things. I only wish it was more accessible world wide. OF COURSE, thanks so much for taking the time to share your experiences love! Lol, I agree, when is international shipping cost not painful?? I’m also aware that UK SEEMS like they’re on par with the US in terms of book privileges but is, in fact, not really. And whatt?? The French use BRACKETS for speech?! Learned something new today! This was an interesting, and unexpected, peek into a UK blogger! Idk maybe one day it’ll become less painful, we can hope. Oof see I feel like many are unaware, so I’m gld you’re aware that we seem to be on par when in fact, it’s not always the case. Phahaha honestly, I’m used to having no shops no nothing, but pretty views and rural landscapes. I’m glad you enjoyed the post, and honestly Kal is a gem for starting this series to raise awareness about this. You hit the nail right on the head! It is easy to assume that the UK reaps the same benefits as the US does due to there being a lot of publishing houses there, but from my cursory looking it appears they are most based in London. Small towns everywhere are rough, and it’s sad Clo doesn’t have any shops near her! Great post! Hi 👋🏻 Clo! HI CLO. Honestly baby Clo emptying out a box of books in a nursery sounds like the cutest thing ever and I’m tempted to make a stick figure drawing of that happening. Also like you, Clo, I jump at the chance to visit an author if they come near me (I’d rather drive 15 than 30-45 minutes). Publishing should really make accessibility easier, even though, yes, I get there are legal issues involved. But maybe that’ll change in the future, who knows. Please do a stick figure drawing of baby Clo emptying out a box of books. I have a mighty need. IZZYYYYYY ❤ oof hahaha, yeah in towns you'd have more shops and supermarkets but its only in the city centers atm you'd even get fast food places or really busy and built up towns. Hahaha I mean I know there's no video of me doing it, thankfully but yeah after my grandma told me about it. I could semi remember doing it hehe. Clo! High-five to reading as a toddler! I definitely feel the same way as you do – even if there are any good book events, my dad would have to drive me there. And he works a lot so he prefers to sleep on the weekends. That’s a total bummer! I know what it is like to live in a place with poor/non-existent public transport, so I can relate to how much it stinks to need to rely on others to go to things. Absolutely! And the public transports in my town are not exactly the safest. That is absolutely precious, Lauren! I wish that for the publishing industry as well. It’s hard enough for me to get ARCs in Canada, I can only imagine what it’s like for people who are in countries that the publishers aren’t focused on. It seems that Penguin Random House has a big footprint in Canada, but that’s about it from what I have seen. It is so interesting to me how US and Canada are right next to one another but so different when it comes to publishing. Certain areas of Canada, only. I’m lucky because I live in Toronto which is one of the cities that will always get hit up for book events/signings and all that. But they really are different and if we can’t get an ARC, books can be two to three times the price of the US here. I thought for sure though that the UK would get treated like the US. I’m not sure why. That is definitely an important distinction to make! When I was traveling in Vancouver last fall, I ran into a giant book festival on accident and got super jealous of the library there. But when I spent time in smaller BC towns the access was certainly different. I bought a couple of books at Indigo when I was up there and it was more expensive, even with the currency conversion being in my favor. Yea, I feel like there are a lot of US/UK/AUS book bloggers! I also follow a lot of book bloggers in the Philippines. I love this idea! 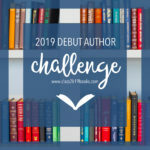 I am actually doing a Read The World challenge, so I love that you are interviewing people from all over the world about their reading experience. Very clever. Thank you so much, I am glad you like the series! Ahhh it’s Clo!!! Love you, sweets! ❤️ I live in a pretty small city, so I totally understand the struggle of having to drive far distances for these book events and author signings. Plus Southern California traffic is a nightmare on the highways! lol. I feel the same about UK, I’m technically UK because I’m in Northern Ireland but no authors come here. If I wanted to go to an event I would have to fly over and it is just so expensive! I agree there should be an easier way to bring physical books to countries that aren’t the US or UK without being super expensive. That is such a shame honestly, because most people won’t have the money to hop on a plane to fly to Edinburgh (would that be the closest for you? Or does Dublin get some author events?). Blimey. Not even a pub??!! And I say this having grown up in proper twee English countryside that resembles Midsomer Murders (without the murders) and we still managed three pubs! I think I’m more hung up on the pub thing than the book thing. Give me a moment. I’m still not over it to be honest. But it will pass in time. All things in time. I’m still not over it to be honest. But it will pass in time. All things with time.